Former coach has returned to his playing role under new caretaker boss Gary Teale. 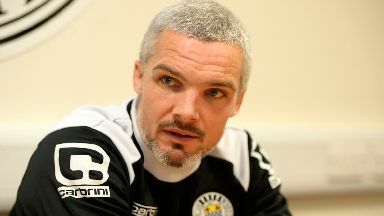 Jim Goodwin admits his poor disciplinary record has cost him his role as a coach at St Mirren in the wake of Tommy Craig dismissal from the club. The Irishman was elevated to a player/coach role in the summer following the call to replace Danny Lennon with Craig. 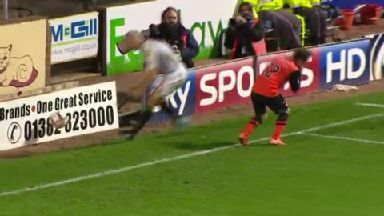 However he was banned for three games for elbowing Dundee United's Aidan Connolly in November. Following the sacking of the Buddies boss, there was no place in the new set up under interim manager Gary Teale with Goodwin returning to playing duties only. Speaking to STV last week, chairman Stewart Gilmour maintained the decision over Goodwin's future was made to help him concentrate on his game. But in an interview with Peter and Roughie's Football Show on STV Glasgow, the 33-year-old says his lack of discipline played a part in the agreement. He said: "I'm obviously disappointed that I had to give that up. "I was very grateful at the time for Tommy Craig giving me that opportunity. Unfortunately it hasn't worked out." The ban for striking Connolly was the third time that Goodwin has been found guilty of violent conduct in the past three years and the second time the player has been cited this year. 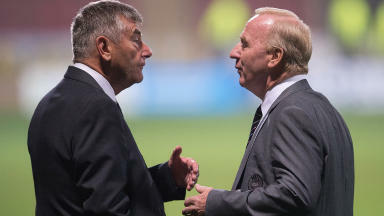 He added: "The results have been really poor and if I'm honest my ill-discipline on the park has kind of went against me when the board came to their decision. "I haven't been told that in as many words but I'm not naive enough to think that it hasn't had some kind of impact on their decision." Craig's time in charge in Paisley came to an end after only 19 matches in charge. And the former Hamilton player has revealed his regret over the part he has played in the club sinking to the bottom of the Scottish Premiership table. "I take huge responsibility in what's happened with Tommy," Goodwin added. "I'm an experienced player and I've let him down massively. "Considering how much faith he put in me to give me that coaching role I feel a lot of guilt and I've spoke to him about that and apologised."